created by the duo behind wend, a small design studio based here in Oakland, CA. The Diamond Collection, with its open weave design and modern shape, was created with laid back, resort-style living in mind. Drawing from European designs from the 1960’s. 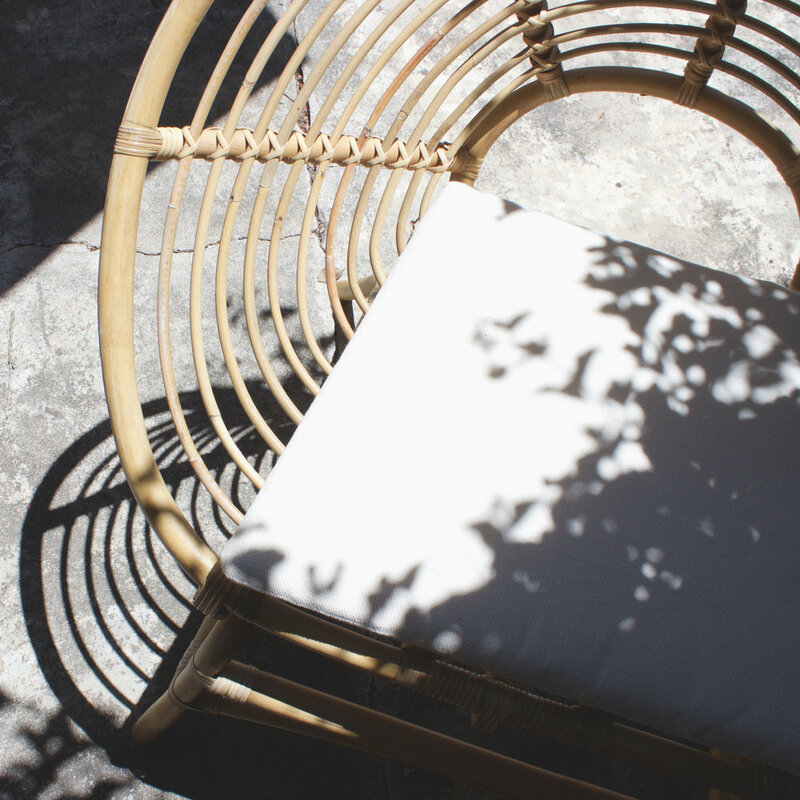 Each traditionally woven chair takes several days to weave, made start to finish by hand in small batches. HELLO, WELCOME TO LEMAY SHOP! We EXCLUSIVELY Offer HANDMADE, CAREFULLY CONSIDERED, CRAFTSMAN OBJECTS. MY HOPE IS TO FEATURE THE EXCEPTIONAL DESIGNS OF THE LESSER KNOWN, FOUND OBJECTS DISCOVERED IN TRAVEL, PIECES MADE BY CRAFTSMAN WITH NO INTEREST IN MASS PRODUCTION, and MODERN HEIRLOOMS THAT WILL CARRY A STORY. FOR OUR FIRST MEET THE MAKER, I'M PLEASED TO INTRODUCE THE WORK OF MELANIE ABRANTES DESIGNS. A FELLOW OAKLAND LOCAL And CREATIVE ENTREPRENEUr, Melanie IS A PERFECT PAIRING TO LEMAY SHOP - A FEMALE OWNED BUSINESS, ALL PRODUCTS ARE HANDCRAFTED, AND EVERY PIECE IS RESPONSIBLY MADE WITH LOCAL AND SUSTAINABLE MATERIALS, WE CAN'T GET ENOUGH OF THIS WORK!